I was looking through some of my older photos on Flickr and came across this sketch I made a couple of years ago. 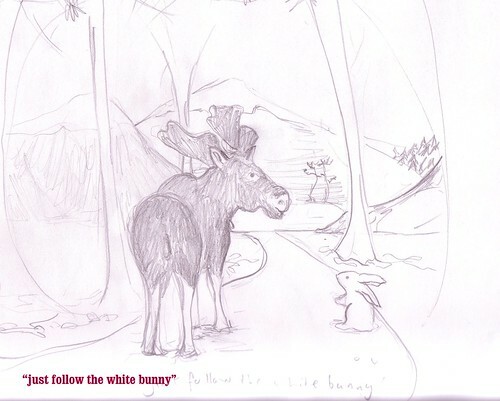 I wonder why I pictured the Moose from this angle though...*giggles* It was right at the start of my Follow the White Bunny adventure and I had just decided to choose the 'Follow the White Bunny' name in favour of 'Polka Dot Bunny'. I've loved this since I first saw it in your photostream! A pattern someday?? ?